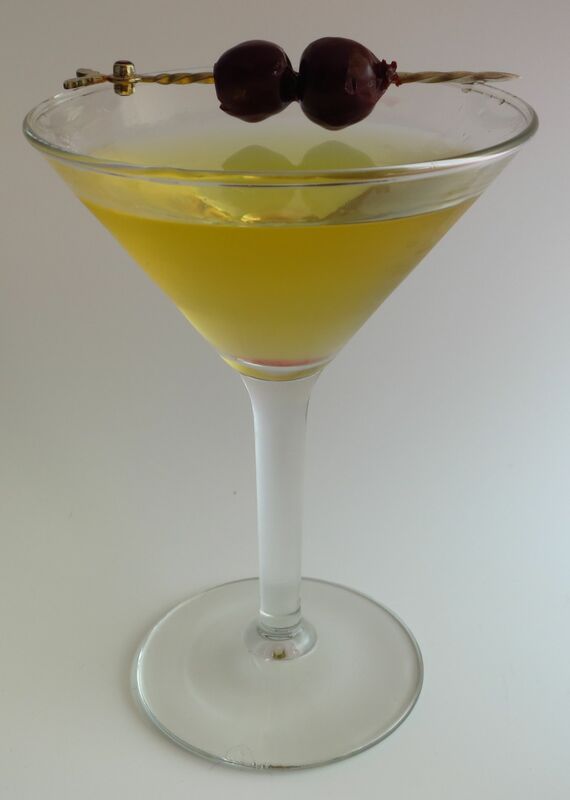 It’s time again for Mixology Monday. 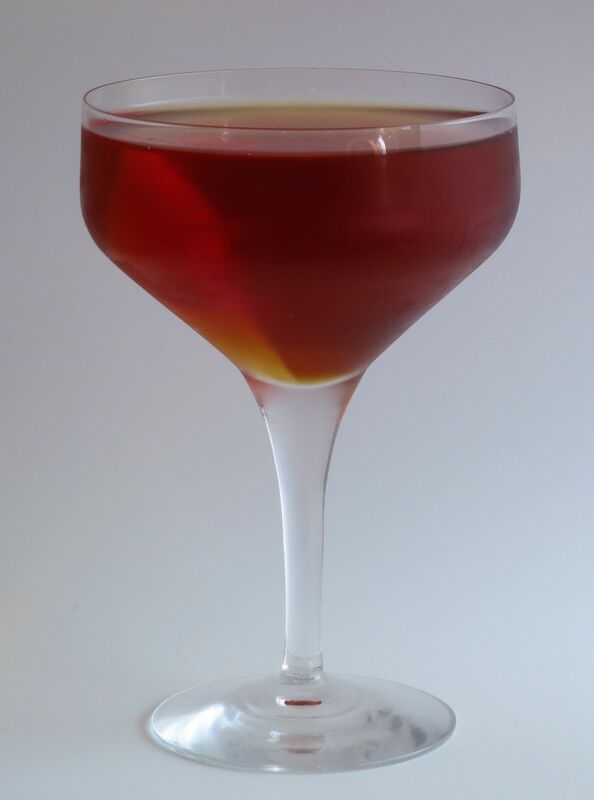 This month’s theme comes from Chris over at A Bar Above, one of our favorite professional bartender blogs. The theme this month is Unknown, where one of the options was to use an ingredient you’ve never used before. As if we ever need an excuse to add some new item to the bar. 😀 Of course that does mean it takes us a while to find something new. Read on to see what we picked. 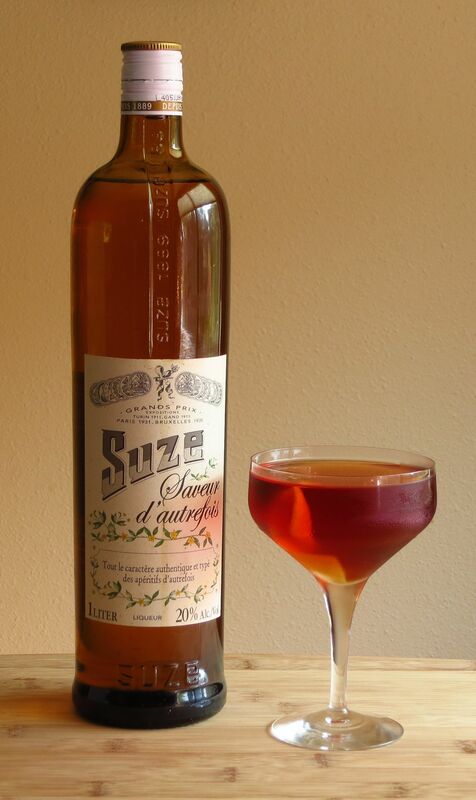 After going to several liquor stores in search of something new, we finally found a bottle of Suze. We’d known about this for a while but we try to avoid making impulse purchases until we have more information about a spirit, so we don’t end up with a whole bottle of something we don’t like. But we figured what the hey, let’s give it a whirl for MxMo. Turns out the Suze is right up our alley with some very strong herbal bitter notes. With such a strong flavor profile, we knew we were going to have to mix with it very carefully. In particular, we figured we’d want to avoid the woody barreled aged spirits seen as the Suze already has some strong herbal woody notes. We thought that instead either a more neutral or a fairly sweet base spirit would work. After experimenting with a nice grain forward vodka, an Old Tom Gin, spiced rum and aged rum we settled on a nice sweet aged rum for our first drink. Nose: Caramel, violet-y floral, cola, hoarhound, slight blackberry. Buttery notes like popcorn. Green, bitter boxwood. Palate: Brown sugar and caramel to start punctuated by bitter floral notes. Lemon peel and a little bit of orange on the start of the mid-palate, moving int0 burnt sugar and blackberry. Finish is bitter with strong coffee notes like espresso. Long bitter aftertaste at the top of the palate. Intense bitter-sweet profile throughout like a Negroni. As it warms up, more boxwood notes (bitter, green, herbal) show up to the party. We had quite liked the sweet, grain-y vodka combination too (we used the Peabody Jones), so played with that a bit more to make the second cocktail. This one is full-flavored but still pretty light, with lots of bitter floral flavors to bring the Suze to the fore. Nose: Creamy cereal notes, like cream-of-wheat., followed by bitter herbal notes. Rose and gentian. Slight metallic smell, like rusty iron. Palate: Pleasant floral notes to start, rose and elderflower. Start is very confectionary, like candied rose flowers or violet petals on cake. Creamy cereal notes with a bit of citrus on the mid-palate. Strong floral and bitter finish, with the gentian and herbal flavors from the Suze really surfacing. End of finish and into the aftertaste has a tasty hint of sloe berries. This entry was posted in aged rum, blackberry liqueur, creole shrubb, Mixology Monday, Original Cocktail, peychauds bitters, st. germain, suze, vodka and tagged around the block cocktail recipe, first frost cocktail recipe. Bookmark the permalink. 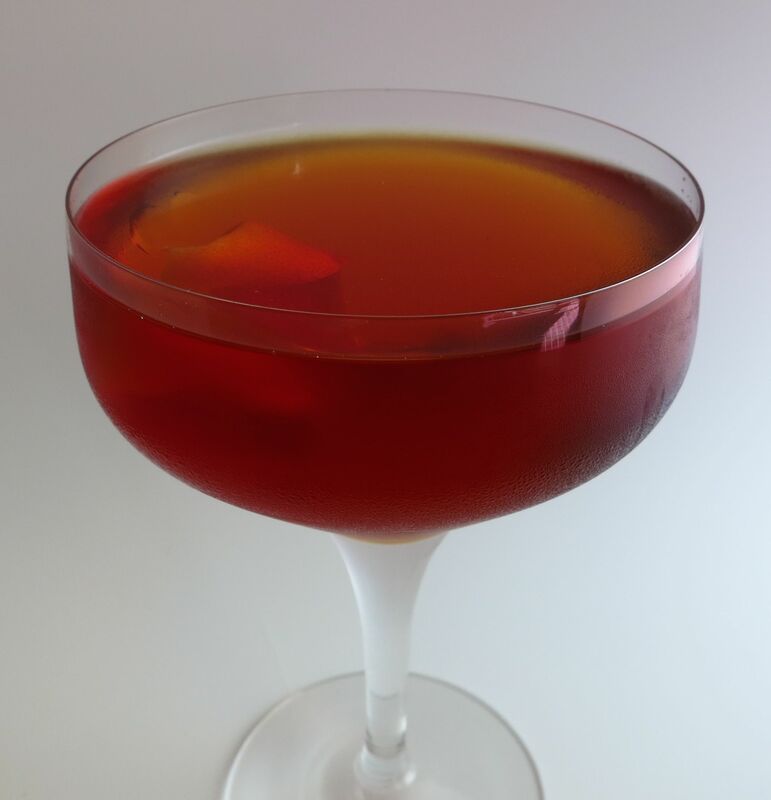 I’ve been playing with Suze for a couple of months – mostly with gin. I will definitely try your 2 drinks! Thanks for the post. Cool! We’re glad we came across it. Let us know what you think.